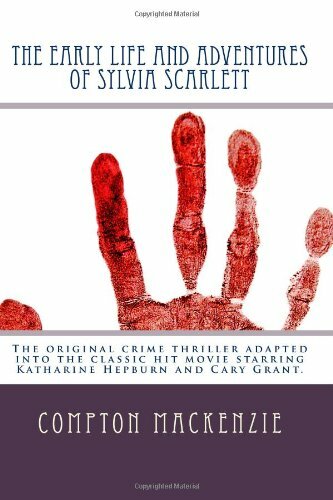 Here is the riveting classic from famed Scottish novelist Compton Mackenzie; the original crime thriller which was adapted in the Hollywood hit movie starring Katharine Hepburn and Cary Grant. Sylvia Scarlett and her father, Henry, flee France one step ahead of the police. Henry, while employed as a bookkeeper for a lace factory, was discovered to be an embezzler. While on the channel ferry, they meet a 'gentleman adventurer', Jimmy Monkley, who partners with them in his con games. This engaging novel follows the professional travails and romantic ups and downs of John Touchstone, a successful playwright. Drawing heavily on his own life, MacKenzie crafts an engaging, lighthearted look at his dashing protagonist's love life. In the novel Carnival, Compton MacKenzie offers historical fiction fans the best of both worlds: a sweeping drama that brings to life the rural Scottish countryside and a gripping emotional account of the coming of age of one remarkable young girl. Novel of a young woman who realizes the limitations of a West Kensington middle-class life and seeks a life on the London stage. Compton Mackenzie was a prolific writer of fiction, biography, histories and a memoir, as well as a cultural commentator. The incredible followup novel by the author of Poor Relations, about Jasmine Grant, eighteen and an orphan who was 'given a home' by four families of rich relatives. Full of wit and humor and profound knowledge of human nature.